This stone stimulates your true purpose in life and the Celestite crystals within foster your dreams, goals and ideals that are awaiting in your life. This stone stimulates your true purpose in life and the Celestite crystals within foster your dreams, goals and ideals that are awaiting in your life. 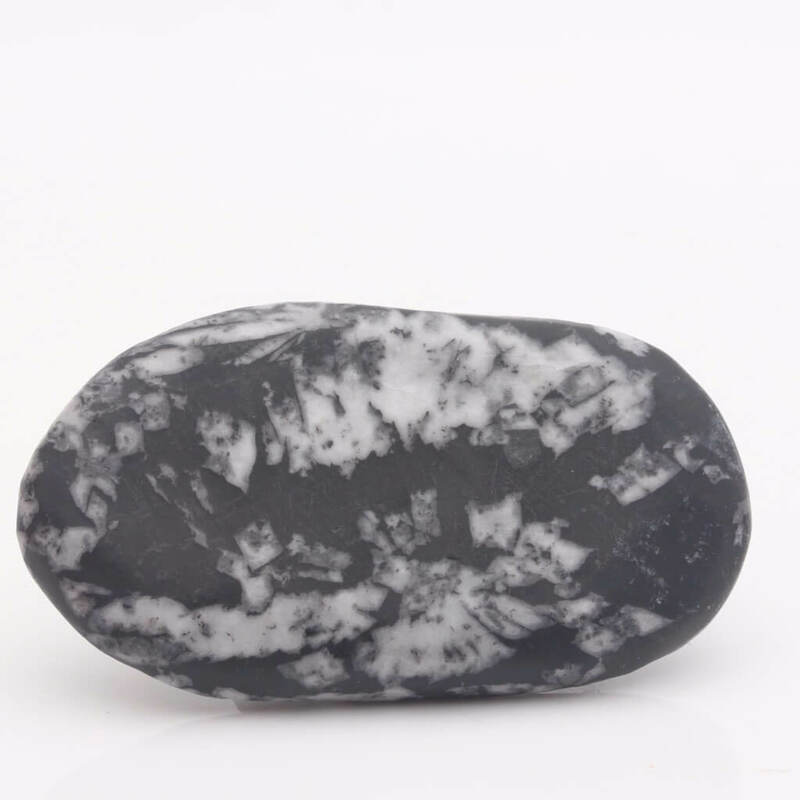 The dark gypsum rock keeps you grounded while you follow your dreams and chase your goals. Make your move and step boldly onto your path and chrysanthemum stone will bring unexpected opportunities and good fortune. Listen to your inner self, the Chrysanthemum stone brings with it energy that helps you overcome obstacles to joy, love and abundance.It balances your physical and spiritual self. It is said that the flower pattern represents the burst of energy that is love, joy and abundance and brings these into your life.This exceptional stone makes a wonderful gift for anyone making changes or starting out on a new path, such as a new job, career or relationship.Meditating with chrysanthemum stone can help you to find answers to some of life's problems when you feel stuck. Called chrysanthemum stone because of its distinctive designs which resemble flowering chrysanthemums. These patterns are created in the stone by celestite crystals growing through the black rock.